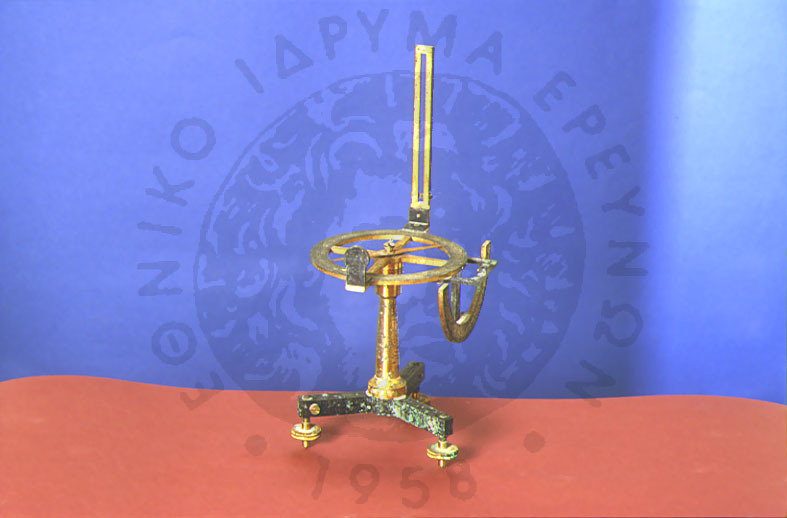 Used at the First Gymnasium of Athens, Plaka. It consists of a horizontal circle, a magnetic needle and sights, set on a tripod with levelling screws. Sighting an object thrugh the sights gives the bearings of the object.